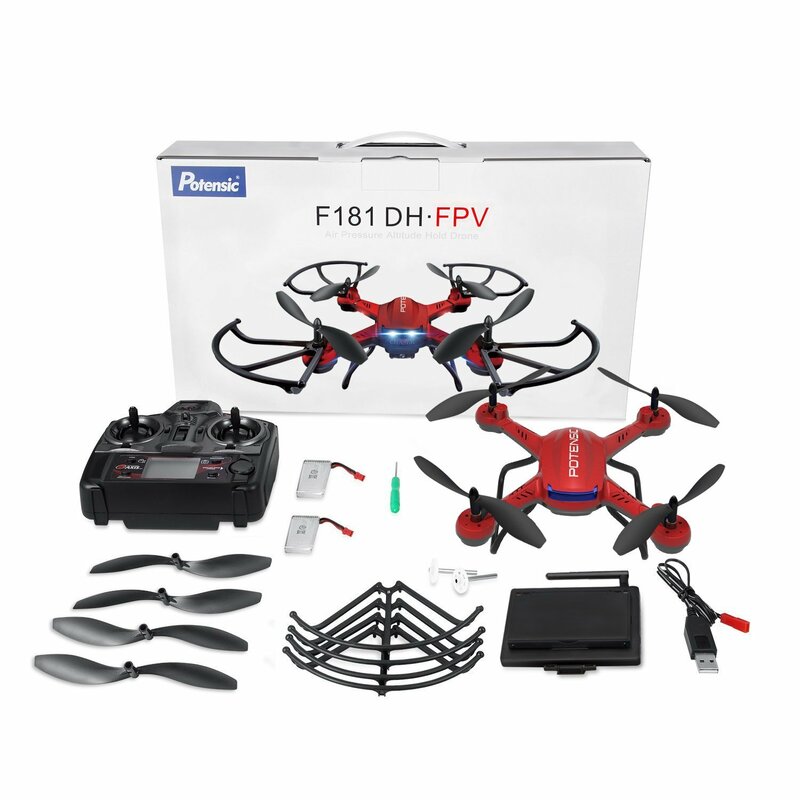 【Stable Flight Experience & HD Picture Quality from Hover / Barometer Set Height Function】: Built in ALTITUDE-HOLD Technology & Newest 6-Axis Gyro Control System, the air pressure sensor helps to hold the flight stably at a certain height and 6-axis system for more precise position, so you can get high quality stable videos and photos, great for starters, beginners and intermediate hobbyists. 【Faster FPV Real-time Transmission on Portable LCD Screen 】: Featuring 2 megapixels camera and 5.8GHz LCD monitor screen, record all your wonderful time, enjoy real time beautiful scenery and live video feed in high-definition directly from the monitor LCD screen. 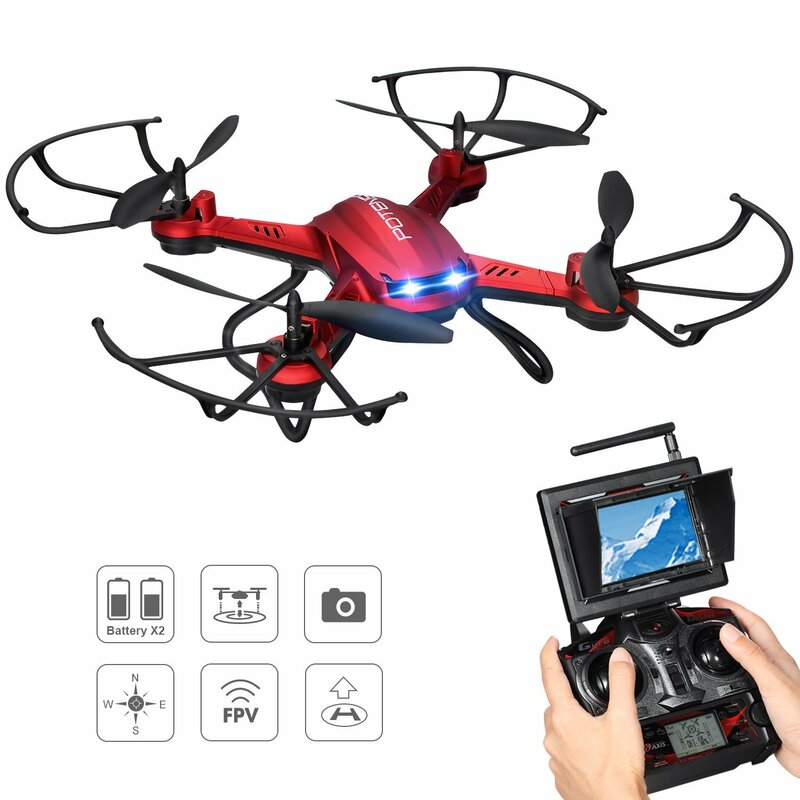 【One Key Taking Off and Landing Decreasing Difficulties In Flying】: The quadcopter is equipped with one key taking off and landing, which makes the drone easier to fly and better to control for any level of player. 【Headless Modes & 360° Flip for Safer , Clearer, and Cooler Operation】： No necessities for height control, no direction command, amateurs are capable of playing it freely, with less complicated steps. 360° surprising rollover will attract envious look from your pals, but please note that two modes are unable to play meanwhile. 【Stepless-speed Function】: Designed for experienced pilots and beginners.Can achieve 10% -100% to seamlessly speed shift, gradual acceleration and deceleration can be 1% and this not only lets you fly both indoors and out, but also allows you to practice flying skills and quickly move from beginner to expert.